Posted March 27, 2018 by jordannet66 & filed under Blog. A loft conversion provides a way of space addition and value to your house. A loft is usually the top space that under the roofing that can be converted to a more usable space.In fact, the top space accessible by a ladder not only eliminates the need to move to a new house in search of bigger space but also offers comfortability. The following are some of the tips you need to know when considering the converting a loft. If your loft has a relative space up there, you can have a smooth conversion of the loft. 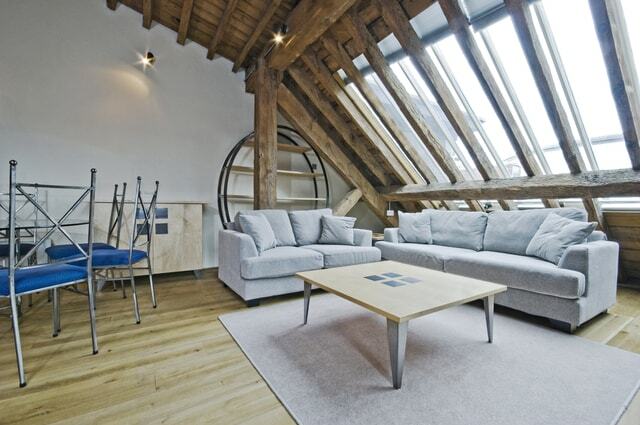 Typically, the best fit size of the loft is 2.3m for the highest point on the attic. Fortunately, you can also upgrade your roofing if space top highest is less than 2.3m. This can be done by our experts at Up Another Level loft conversions. However, if the roofing adjustments go higher than the highest point on the roof or the extension hangs beyond the wall of the house, then you require applying for a planning permissions. You need to keep in mind that your house conversions must meet the set standards and follow regulation by the local or building authorities. Lofting company or designer should complete building regulations. The rules require all standards to be met. The conversions turn out as a room addition to an existing one. In fact, the addition is cheaper than constructing a new house or room beside the house. The value of the home will shoot upwards. There are several six main ways roof conversion can be accomplished which include; Rooflight, Dormer, Hip-to-gable, gable-to-gable, Mansard and modular extension loft conversions. You can choose any of the conversion types depending on your requirements. For instance, Rooflight is best if you need cost-effective and suitable for less involving conversions. Dormer is necessary if you will have to alter the roofing while modular requires total replacement of the rooftop with a newly manufactured room that is placed in the space left. For hip-to-gable, its used where the roofing is partially slanted and required removal of the roof: a squared room is then built to completion. Gable-to-gable involves the addition of two squared extensions on the loft’s both sides. Lastly, the Mansard involve the replacement of current rooftop with steep ends and creation of flat top roofing. In cases where the roof will have to be replaced in the process of adjusting the loft space, then it is necessary to live in a different house. The relocation is essential for various reasons including evading possible accidents during construction work and safe living from unfavourable weather conditions at a time your roof is open. Additionally, the relocation will give the company that deals with loft converting enough space to work on for you to achieve the best results. To find out more about how Up Another Level can help with your next loft conversions project, please give our team a call or for general enquiries, please email info@upanotherlevel.co.uk.